Oh January. What a month it was. If I could choose just one word to describe my January 2017 it would be captivating. 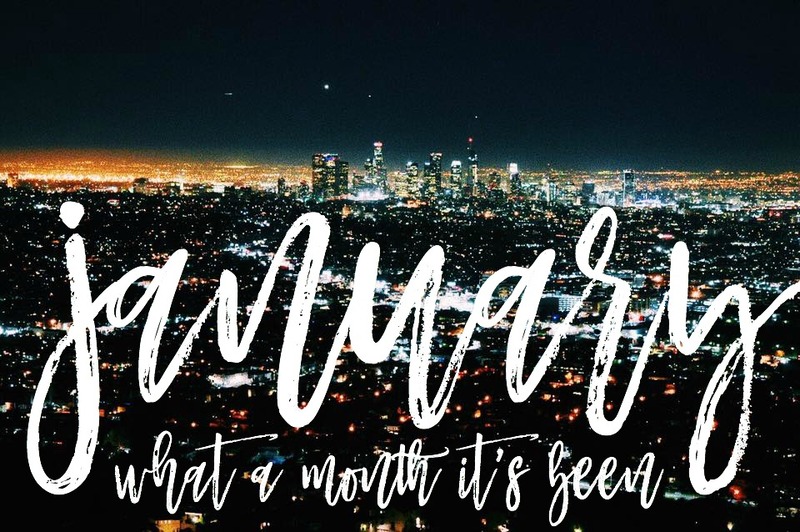 This month was full of newness and spontaneity. It stretched on and sped by all at once. The gloomy weather made the days feel long but my nonstop pace made each moment fly by. January began as I sat on the shore of the San Francisco Bay with my family and watched fireworks fly into the sky. The first moments of 2017 were freezing cold, quiet, still, absolutely beautiful, and full of love. Part I of January was full of books, family, and rest as I recovered from surgery (shoutout to my faulty appendix) and prepared to return back to school. Part II of this month held opportunity and excitement and growth. I signed with a new talent manager. I got to work on 10 (!!!) incredible scripts and auditions. 13 Reasons Why got a release date and a trailer and the world got to see a tiny piece of what I've been so passionate about for months. Part III of January was made of people. This month I built up relationships, invested time in the people I cherish, and took advantage of every spontaneous adventure I could. January was not the month of comfort or security in any realm (especially this one) and that is okay. Part IV was about dancing in the rain, both literally and figuratively. Many January days were filled with downpour; flooded streets, power outages, the works. I'm a sunshine kind of gal, but I learned that it's much more fun to embrace the rain than hiding from it. And that's kind of what January was all about. This month I had little control; most of my days were unexpected and spontaneous and beautiful. I realized that I don't just withstand rainstorms, but maybe, just maybe, I thrive in them. I smiled a lot this month; not premeditated, routine smiles, but smiles that radiate joy and adventure and newness. In the chaos and craziness and lack of any sense of routine, I chose to dance. Other favorite pieces of my January 2017: LACMA, rain storms, sushi, the TFT, French autobiographies, movie screenings, pie, and dancing in the rain.